Education organisations looking to manage multiple schools, colleges and coaching institutes should look into Multi Branch Management Software that has negligible number of refined highlights and modules, which helps the administration to play out, assess and express all and any day-to-day activities and reports independently. The Multi Branch ERP System simplifies report generation of every single branch and helps the administration with decision-making. The branches can be checked, screened and reviewed if the objective and estimations are not met. In this manner, even the little errands gets consideration and keen observation. Cloud based online framework – EduSys – is one among the very few preferred and favoured automation software designed keeping every global education establishments like schools, colleges, universities and coaching institutes in mind. It brings education institutions, parents, teacher and students together with new innovative and technological approaches. 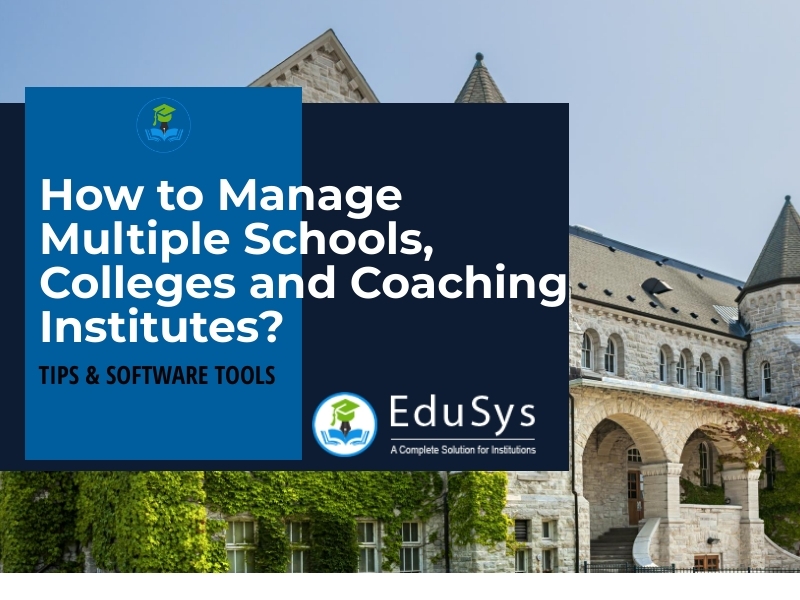 EduSys’s Multi Branch Management module is structured to help the school, college and coaching institutes’ administration to manage daily needs in their subsidiary establishments whilst examining the necessary reports that help with those requirements. It is a completely cloud based, well organized, accessible in many languages, and secure module to operate n-number of branches from a single-remote location.